Kilian Chiropractic's purpose is to improve the quality of life of individuals and families. We accomplish this by focusing on best chiropractic practices and holistic health values. Dr. Trevor Kilian offers individuals and families a unique approach to health and wellness. We encourage natural healing through quality, insightful chiropractic care and through the promotion of nutrition and a healthy lifestyle. Ultimately, we believe that through strong, healthy interaction with individuals and families and accurately recognizing health care needs and wants, we can improve our clients quality of life. Here at Kilian Chiropractic, we understand that the body can heal itself. Through proper chiropractic care and spinal adjustments, this healing will be assisted by ensuring that the spine and it's joints are moving within their full capability and the spinal nerves are free of subluxation and pressure. The result can be a healthy, pain-free lifestyle. 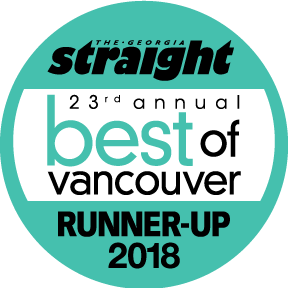 Serving Vancouver, Downtown Vancouver, North Vancouver, West Vancouver and all of the Lower Mainland, Dr. Kilian offers Chiropractic treatment. We embrace a holistic approach to living, one that includes collaboration with a diverse range of practitioners who share common values, beliefs, and an understanding of true health and wellness.